Women's leadership expert Sally Helgesen and coaching legend Marshall Goldsmith talk about the self-limiting habits that constrain women from advancing in their careers. Most of the behaviors that limit people’s growth in their careers are gender neutral. But in today’s workplace, women face some specific and different challenges as they try to advance. 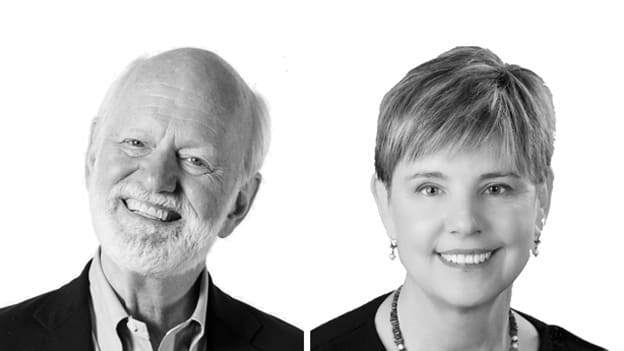 Sally Helgesen and Marshall Goldsmith have each helped thousands of high achievers to reach greater heights and enjoy more satisfying careers. They know the unique strengths women bring to the table. But they have also watched common behaviors trip even the most talented women up. They’ve co-authored How Women Rise: Break the 12 Habits Holding You Back From Your Next Raise, Promotion, or Job. Drawing on decades of stories and insights, Sally and Marshall have combined their expertise to identify the twelve most common habits that undermine women in their quest to become more successful and create careers that are satisfying and rewarding. You have identified 12 habits, or self-limiting behaviors, that you believe hold many women back in their careers and in life in general. How did you develop the list? Sally Helgesen: From my perspective, these are the behaviors I have watched or heard of in the last 15 years of experience of women leadership workshops all around the world. Listening to these stories of women during the workshops and interviewing them beforehand helped me understand these behaviors that most women were struggling with. So, from what I brought to the table, really came from that experience. I also want to point out that Marshall really brought the template or underlying idea of this book, which is that the same habits and behaviors that can serve you earlier in your career can start to get in your way as you move higher. So, what we decided to do was look at how that works distinctively for women. Many of these behaviors are positive things but may just need a little adjustment if you really aspire to move to a higher position. Marshall Goldsmith: While Sally really brought a wealth of experience, I added some with my work in terms of teaching women’s leadership programs. I am usually of the few men who is asked to teach in a women’s leadership program and hence, I brought a little perspective to this whole concept. Are these 12 habits universal in nature? Or can there be some classification made on the basis of geographies or cultures? Sally: In my experience, they are pretty consistent across cultures. I have done workshops from Kuala Lumpur to South Africa to Norway and many other parts of the world and I have really seen these behaviors consistently play out. One important point is that I don’t think these habits and behaviors as female habits and behaviors; they are human habits. But they are the habits and behaviors most likely to get in women’s ways based on the kinds of experiences women have and based on the expectations that are often put on women or that they put on themselves. Marshall: I have been to India about 40 times. I find that if anything that is stronger here and more important here, are the habits of guilt and perfectionism. Why do women have this reluctance to claim their achievements? What holds them back? Sally: I think the reluctance to claiming our achievements is really a foundational behavior that is problematic for a lot of women. This is considered a really nice behavior, it serves you well up to a certain level in the workplace, because people think of you as someone who is generous and someone who has an appropriate degree of humility. But as you assume a higher position, and have greater authority and influence, you are representing your organization. So, if you are constantly giving away credit and are unable to claim achievement, that’s not doing any favor to you or the organization. Women really get into trouble there. You really have to learn to get comfortable talking about what you have achieved if you are in a leadership position. Are the problems of today a result of the workplace ecosystem that came into existence centuries ago, where men were only participants? What if women were a part of the workplace from the very beginning? What would have been different then? Marshall: I am writing a new book called ‘Stakeholder Centered Leadership’ in which I talk about the history of leadership and the future of leadership. The leader of the past did exhibit more typical male characteristics. The king was a man, the priest was a man and so was the master. There was a male-dominated approach to leadership. But Peter Drucker said that in the future, most of us will manage knowledge workers. Knowledge workers are those that know more than their bosses. So, if I manage you and you know more than me, I cannot just tell you what to do. I have to ask, I have to listen, I have to learn and be able to facilitate work. Women are generally better at these skills. These are skills that are more important for the leader of the future than they were for the leader of the past. Sally: One of the main things that has really kept me going over the last 30 years has been to watch this extraordinary, unusual, historical confluence whereby women are bringing into the workplace, the very skills that the workplace needs as demographics, nature of the economy and above all, technology shifts. There is a strong overlap here and for me it has been a great source of optimism and confirmation. What are the top three challenges that women face as they grow in their careers and go up the ladder? Sally: For me, in terms of their habits, number one would be – expecting others to spontaneously notice and value the contributions rather than bring that to the fore yourself. Second, is putting your job before your career and the third thing is failing to build a big and robust enough network of allies. Not just people you have relationships with, but people who have invested in your career and you are invested in theirs. So, you have got that kind of give and take. Marshall: Women get so focused on doing their job that they are not investing in their long-term careers. What happens is that if you are doing your job where you are, you are just doing your job and not preparing yourself to go someplace else. You should rather invest that time somewhere else - in the future, learning, growing or building relationships. Finally, what are the habits that can help women rise to the top? Sally: One of the primary habits that helps women rise is to be very attentive to how visible you are and how visible your contributions are from the very beginning. Don’t wait until you feel like you have your job completely mastered to do that; begin to think about visibility, marketing what you do and begin to think about tying that to what the organization’s ultimate vision, mission, and future is. Develop a way to really articulate that and do that quickly and clearly. Marshall: One of the things that we talk about in the book is that many women have this misguided belief that their good work should speak for itself. It’s like God is going to fly out of the sky and recognize you for your good work. I doubt it. If that were true, no company would need a marketing function. You have to be your own marketing function. You cannot wait on God or the rest of the world to take care of you.